This glider rocker cushion set is a replacement set for the Best Brand Jive Glider Rocker Chair #C8200, #C8207, and #C8209. If your glider rocker looks like the chair we have pictured but is not a Best brand chair exactly as above, or you are not sure of the brand do not purchase this cushion set as it may not fit. If you have a Best brand chair, turn the chair up side down and a paper tag should be visible at the bottom of the seat detailing the brand of chair and item number. Please order the correct cushion set. Great quality and excellent service! I ordered the cushion set and an extra yard of fabric to use to recover the ottoman myself. I had 8 different fabrics that I was interested in. I did not want to pay $4 for each swatch sample so I called the service department and they were able to describe the different fabric swatches to me and then offered to send me them with no charge. They were very informative about the different textures, thickness, and colors of the fabrics. They also were able to tell me what would be most durable and how to clean the fabric as well as which fabrics are easier to clean (I.e. Microfibers). My order was placed 4 weeks before Christmas and they said it may take longer than the 3-4 wks. for delivery due to the holidays, however, I received them 3 wks. after the order was placed! Fantastic! The fabric quality is really good and the cushions are extremely comfortable and fit the Jive glider perfectly. The extra yard of fabric was actually bigger than a yard! So I have extra fabric if needed for the future. I would definitely come back to purchase any cushion in the future! I ordered the replacement cushion for this chair and really like the fabric and feel of the cushion. This company provided a quality product in a very timely manner. I would recommend them to friends. Love my new cushions. Beautiful cool and comfortable. We are so pleased with these cushions. They fit perfectly, are of high quality, and really complement the family room where our glider rockers are. The chairs themselves are nearly 20 years old, and in great shape. But the cushions had seen better days, especially with two grandsons around much of the time. The price was right; service, shipping and delivery right on schedule. No disappointments here. We will have no reservations about ordering from Fine Web Stores in the future. Spoke with Travis when ordering and he was very helpful in picking a material and color. Cushions arrived in about 2 weeks and were of good quality, the correct color, and perfect fit. 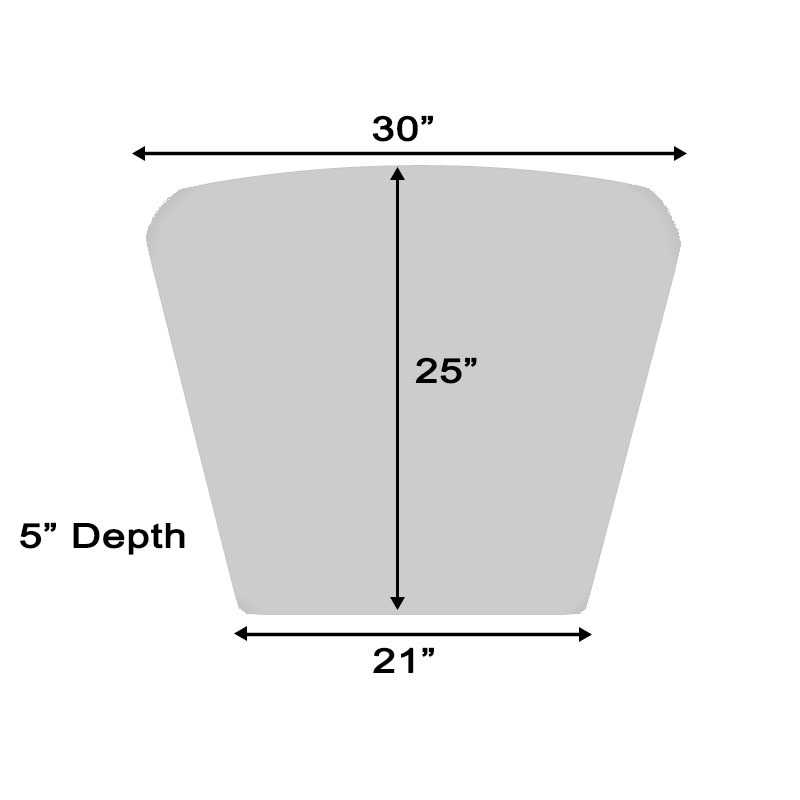 I was very pleased with the service and the product. I was fortunate to find a Jive Glider and ottoman at an estate sale store. The bad new was that the cushions were missing, except for the one attached to the ottoman. The good news was that I purchased the chair and the ottoman for $100. 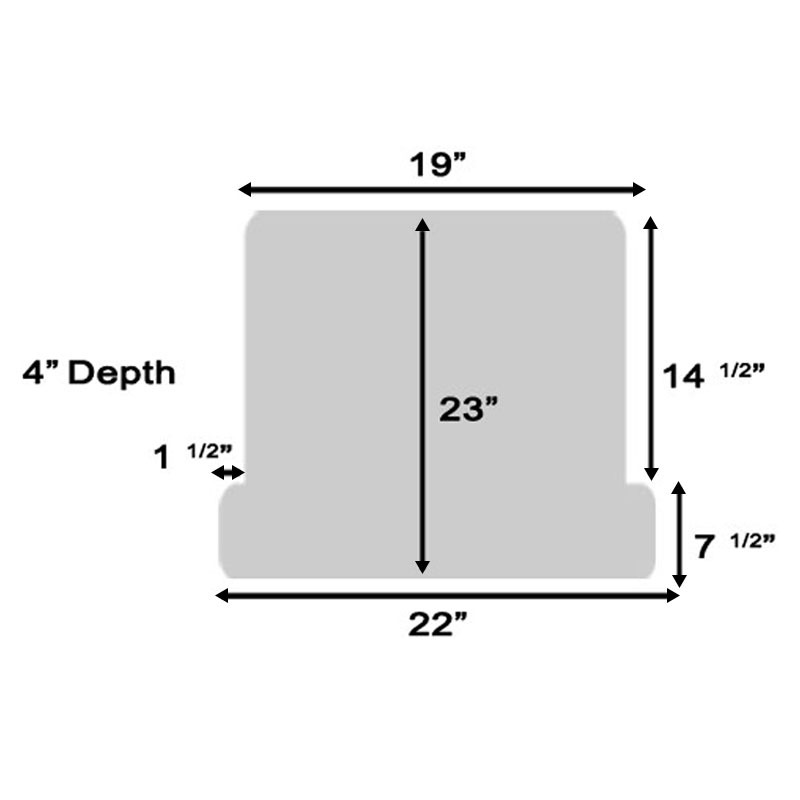 I ordered the cushions after guessing, based on the dimensions provided here, that I had a Jive model. Apparently, I was right. The cushions fit perfectly and are extremely comfortable. The seat is firm and durable while the back is soft and fluffy. The material is a short plush and very nice in appearance and feel. I also ordered the ottoman cover, which is a good fit. The cover comes attached to the top board. This feature means that upon removing the old cover plus board, we are able to use the old top to make a second ottoman for use with another chair. We just had to buy the legs. That means that I got the rocker, the new cushions, and an extra ottoman for less than $500. Not only is it a bargain, it is an beautiful and comfortable chair. 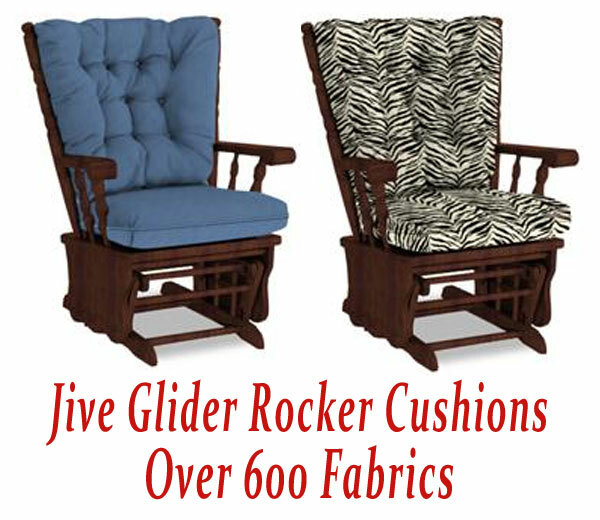 I ordered cushions for the Jive glider rocker. It said allow 3 to 4 weeks for delivery and I received the cushions in two weeks. They are beautifully made and fit our chair perfectly! When I called with questions before ordering, the gentleman was professional, courteous and extremely helpful. I would highly recommend this company to anyone looking for quality cushions. After a frozen pipe and a rain shower in our living room, we wanted to save our chair. The ability to get swatches at a reasonable price to make a choice was a big help. The cushions themselves are a perfect fit and the quality is excellent! Thanks for helping us restore our home.